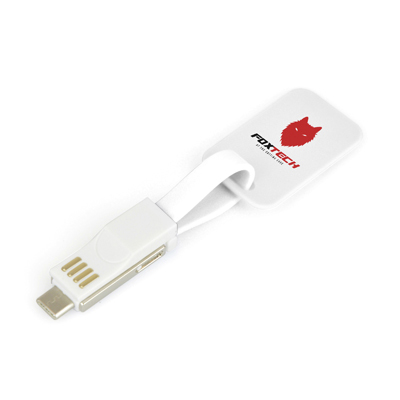 Description: 3-in-1 magnetic keychain USB cable with type C and reversible 5 pin (Apple) and micro USB (Android). Micro USB casing pulls open to reveal the 5 pin connector inside. Large tag to carry your branding. Available in white.